Hamburg, Germany’s second largest city to the far north, doesn’t end up at the top of many visitors’ lists. Somehow the Southern German romance of hills, forests, beer festivals and vineyards grabs most. But all of those folks are missing out on a real diamond of Germany’s culture and pretty gardens, like Planten un Blomen. 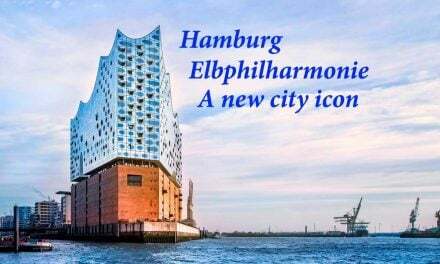 Situated on the Elbe River, the city is a shipping and transport hub and a rather affluent port too. Hamburg’s charm, however, comes from the canals that crisscross it, and the green expanses all that water nourishes. 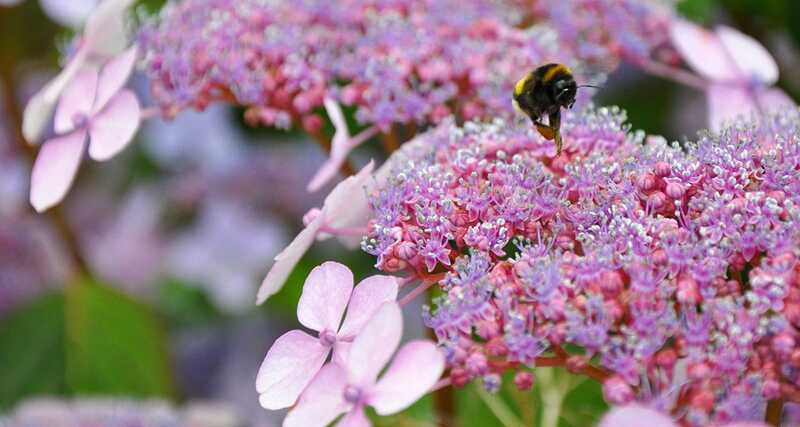 The subject: A visit to the Planten un Blomen Garden on your Hamburg tour is a must, whether you are a flower and garden lover, adore open spaces, enjoy dancing water fountains, or just want a nice place for a stroll or picnic. Now, not many non-Germans head there – obvious in the fact that the official Hamburg tourism website doesn’t have the garden’s page translated into English! But the official Visit Germany website helps with your Hamburg tour and a garden visit. Or take advantage of one of many water or water-and-light concerts. Artist’s tools: My Nikon D90 still serves me well for many an adventure, as does the 18-105mm lens f/3.5-5.6, both of which I got when I returned to photography after about 25 years! What I like about this focal length on a lens is its ability to capture almost everything for me without fiddling with changing lens or being draped with several cameras with different lenses. 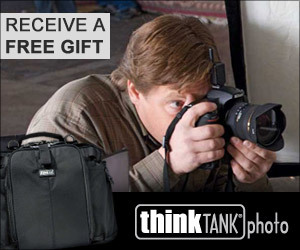 I’m a simple photographer like that. For this bee on blossoms in the Planten un Blomen garden, I was set at a 1/250th of second at f/5.6 with a focal length of 105mm. I also try to avoid over-processing so this has only the simplest of touches. Bigger is not always better. Sometime small, like a historic Munich chapel, can be a travel must-see. It’s easy when traveling through big European cities to follow the throngs to the large churches or cathedrals in town. Huge European cathedrals can be very impressive, of course. But the Marienklause Chapel, about 3-4 miles south of the city center of Munich, Germany, is certainly worth a close look. A visit to the Planten un Blomen Garden on your Hamburg tour is a must, whether you are a flower and garden lover, adore open spaces, enjoy dancing water fountains, or just want a nice place for a stroll or picnic. 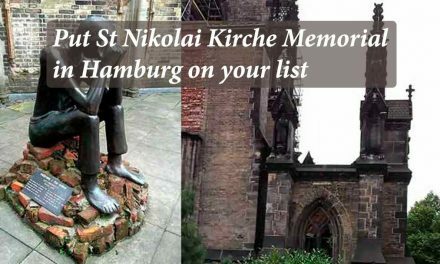 The St Nikolai Kirche (St. Nicholas Church) has been a part of the Hamburg skyline since the 12th century. Now in ruins from World War II bombings, just its spire remains standing. No longer a place of worship, the spire (thought until 1876 to be the tallest building in the world) and its restored crypt below serve as a haunting and moving memorial to the horror of war’s devastation. The rolling foothills of the Harz mountains that surround Quedlinburg feature forested terrain with open, rolling meadows, some hills and plenty of farmland – perfect for those who need to stretch the legs and mind a bit on an easy wander. We’d heard about the Quedlinburg Old Watch Tower (“Altenburgwarte”) that was located approximately 0.5 miles (just under 750 meters) from the southwest edge of town, on a sandstone ridge overlooking the village below. Berlin is one of our favorite cities in the world. It is cosmopolitan, worldly, quirky, exotic, bohemian, evolving, vibrant and so very, very alive — there is something to do or see or experience 24 hours a day if you are so inclined. Little wonder so many tourists, wanderers, artists, authors, musicians, actors and creative minds discover and fall in love with Berlin. Whether you are visiting for one day, two days, a week or more, the best way to begin your quest to find what to do in Berlin is here. Our What to do in Berlin resource guide and links, map, as well as numerous articles highlighting insider travel tips for you will ensure your visit to Berlin is memorable.